Miss out on Jill’s book talk at Vroman’s? 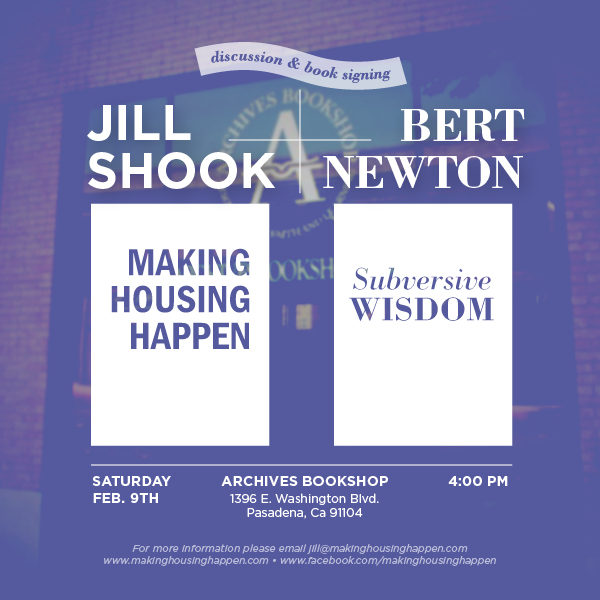 Jill Shook and author Bert Newton will be sharing again about their recently released books this Saturday at Archives Bookshop in Pasadena. Don’t miss out!